The users who want to edit MTS videos with Final Cut Pro usually run into incompatibility issue. Or you can’t edit them smoothly after taking some time for importing MTS to FCP. Why? This is due to that MTS videos, which are already highly compressed by H.264 codec, are very hard to deal with during video editing. ProRes, a lossy video compression format that developed by Apple Inc., is a appropriate format for smooth editing on Mac. Thus, when you get many MTS videos and want to edit them with Final Cut Pro, iMovie, or Adobe Premier, it's better to take advantage of the ProRes codec. To convert MTS to ProRes quickly and easily, Wondershare UniConverter for Mac (originally Wondershare Video Converter Ultimate for Mac) is highly recommended. This program features high efficiency and seamless conversion. With it, you can do batch conversion from AVCHD, MTS, AVI, VOB, MP4, MOV, and more to ProRes in simple clicks of mouse. Here's how to do it. Step 1Add MTS files to the MTS to ProRes Converter. But if your MTS files are on your camcorder, you need to plug your device to Mac first, and then run this program. This program will show your camcorder files in its interface. Then, you can select the files you want, and click the Add to List button to add them. Step 2 Choose ProRes as the output format. Click the inverted triangle icon beside Convert all tasks to to reveal output panel. And then select the Editing category to choose your desired format. You'll find several ProRes options are provided. Generally, ProRes SD 480P and HD 720P are suitable choices for MTS, M2TS, DV videos shot with camcorders. ProRes HD 1080P is usually for film based source media. 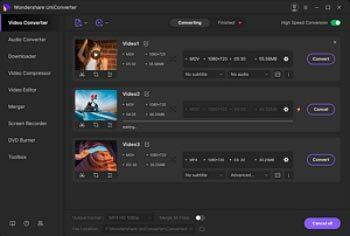 Tips: After choosing the ProRes format, you'll see the Target file duration, resolution, and file size showing in the right side of each video clip. If necessary, you're not satisfied with the settings, you can create the customized format with your wanted parameters manually. Step 3 Start converting MTS to ProRes. At this point, you can change the output filename or output path if you wish. If you feel satisfied with your options, Just hit the Convert All button to activate MTS file to ProRes conversion. This program is highly efficient because it's boosted with CPU and GPU (30X faster). And a neat process bar will show the percentage and remaining time. When all conversions completed, just click Converted tab and tap the fold icon , you can fast find where your converted files are saved. 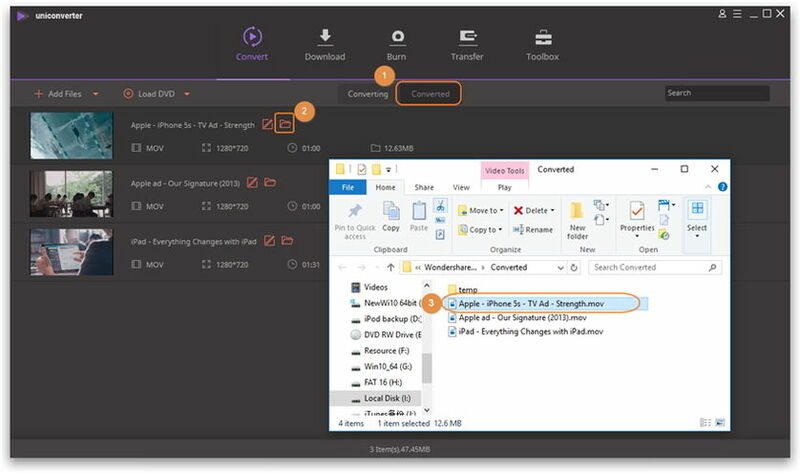 Convert MTS to AVI: Wondershare MTS converter allows you to convert MTS to any audio/video format or device etc. Convert MTS to MP4 on Mac/Windows: This guide teaches you how to convert MTS to MP4, so you can play MTS on some popular devices or players.